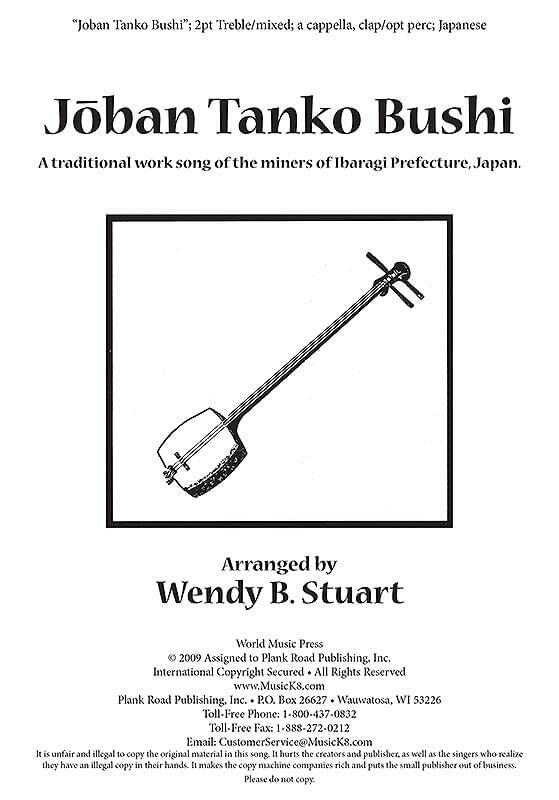 This is a well-known Japanese work song of the miners of Ibaragi Prefecture, arranged by Wendy Stuart. Written in three simple parts, including typical vocal embellishments. In Japanese. The demo CD available for this tune contains a sample performance and a pronunciation guide. It does not include an accompaniment track.